JINTROPIN is a recombinant human growth hormone (rhGH) produced by gene recombination E. Coli secretion expression technology. Its precursor synthesized in E. Coli including gene of human growth hormone(hGH) was secreted to periplasmic space of the cell guided under signal peptide. 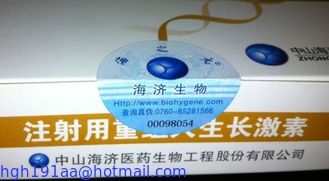 The signal peptide was removed and polypeptide molecule is folded exactly to growth hormone (GH) molecule. JINTROPIN has 191 amino acid residues and a molecular weight of 22125 daltons. It’s amino acid content, structure and sequence are identical to those of hGH. 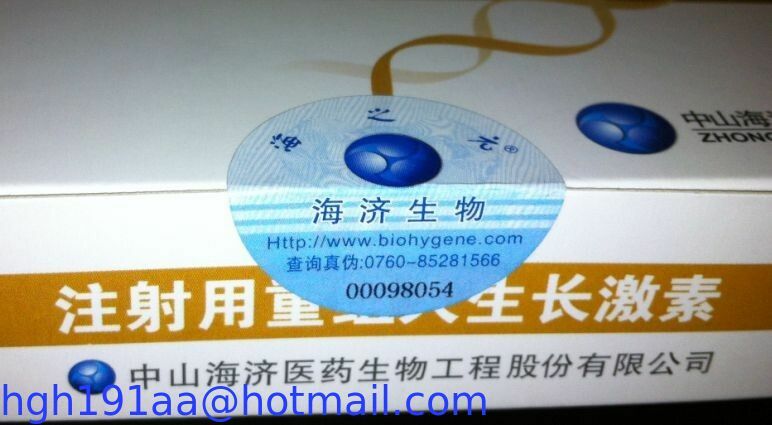 HGH was secreted by anterior lob of the pituitary, It is a peptide hormone with 191 amino acids, JINTROPIN is a rhGH produced by recombinant DNA technology in E.coli with secretion expression. The content and sequence of JINTROPIN are completely identical with those of Hgh JINTROPIN is synthesized in e. coli as a prehormone. The prehormone is composed of GH with a signal peptide derived originally from the bacterium. The prehormone splits in the cytosol of bacterium, and then the finished product, similar to the native GH, is released to periplasmic space, The product is then collected though lysis of the outer menbrane, which leaves inner membrane intact, and thus guarantees almost no contamination from other bacteria proteins. The effect of the secretion expression rhGH is the same as that of the endogenous GH in human body, JINTROPIN stimulates cartilage cells of osteoepiphysis to differentiate and propagate; it stimulates stroma cells of the cartilage to grow; it stimulates osteoblast to differentiate and regenerate; it causes acceleration of linear growth and ossature widening, JINTROPIN promotes whole-body synthesis of proteins; it corrects the condition of negative nitrogen balance after operation and other wounds; it corrects hypoproteinemia initiated by severe infections and hepatic cirrhosis. JINTROPIN stimulates the synthesis of immune globulin; it stimulates the generation of lymphoid tissue, macrophage and homeocyte; it increases the ability of anti-infection, JINTROPIN stimulates the synthesis from collagen cells to fibrocytes in burn wounding and operative incisions, it stimulates differentiation and generation of macrophage; it accelerates wound healing. JINTROPIN promotes the synthesis of protein; of cardiac muscle; it increase the contraction force of cardiac muscle; it decrease myocardial consumption of oxygen; it regulates fat metabolism; it decrease levels of cholesterol and low density lipoprotein in serum. JINTROPIN complements the insufficient and deficiency of GH, it adjusts fat metabolism, bone metabolism, cardiac and renal function.